2019 has been quite an exciting year for Bollywood and there are many more anticipated projects all set to hit the silver screens. One of them is Bharat, starring superstar Salman Khan, Katrina Kaif and Disha Patani. Makers dropped two posters before and now, they have revealed Katrina Kaif's look for the movie. Here's what audience think of it! 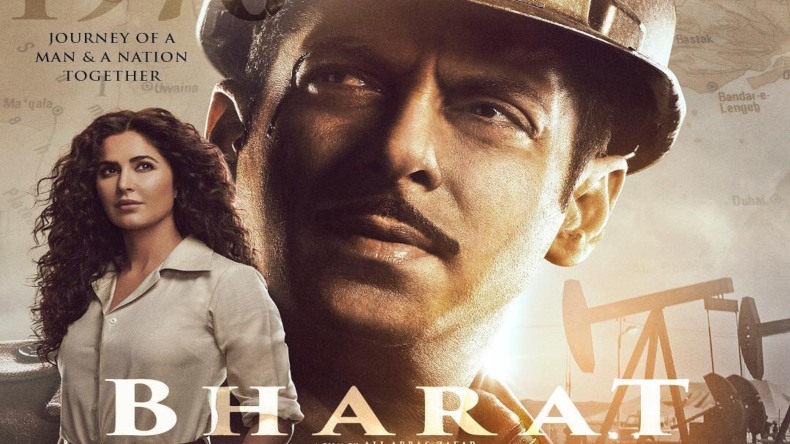 Bharat poster: Superstar Salman Khan’s ambitious project Bharat has been collecting quite a buff since its announcement. Now, the makers are dropping one on one looks and posters from the film raising the excitement to another level. While the die-hard fan following is already super-excited for Salman Khan’s movie, these photos are definitely doubling the anticipation. In the last few days, the makers have been capturing headlines by releasing posters and now, they have revealed the look of female lead Katrina Kaif. While the fans already had an idea that Katrina will be opting for curly hairstyle in Bharat as she kept on sharing some behind-the-scenes photos on her official Instagram account but this is worth-appreciation. The overall look of Katrina Kaif for the film has been given a bent of the 70s and she looks absolutely stunning. The actor took her official Instagram account to share the poster and captioned it in a quirky way. In her caption, Katrina Kaif referred to herself as Madam Sir and people are assuming that Salman Khan might call her with this in the movie. The film has an exciting storyline which involves the journey of Bharat’s (Salman Khan) life at the time of its independence and after that. Well, Katrina Kaif’s superhot look from the movie is impressing fans all over. Twitter is flooded with appreciations and people can’t take their eyes off her. Donning a white shirt and beige trousers, Katrina Kaif looks like a perfect boss babe who heads Salman Khan in the film. On the other hand, Salman Khan can be seen sporting a helmet like a worker. On that note, here’s a collection of reactions that we came across on social media! Bharat is all set to hit the silver screens on June 5. Like always, Salman Khan has booked the Eid weekend for his big release. Bharat will maker Salman Khan and Katrina Kaif’s second collaboration with helmer li Abbas Zafar after 2017 blockbuster film Tiger Zinda Hai. The movie also features Jackie Shroff, Tabu, Disha Patani, Sunil Grover and Nora Fatehi. Not just this, even Varun Dhawan is going to give a guest appearance in the movie!